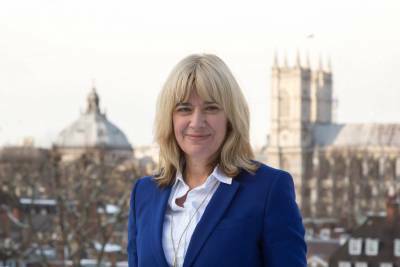 UK Chief Veterinary Officer (CVO) Christine Middlemiss, will discuss her perspective on UK animal health and welfare at the 2019 BCBC Conference in Telford (Jan 21-23). She will provide an insight into her UK CVO priorities and her international role representing the UK livestock sectors. This session will include a presentation and discussion on: ‘UK animal health and welfare - an evidence-based approach?’ and ‘industry working in partnership with government to tackle endemic disease and improve productivity’. Christine will be keen to hear the audience views on these topics and is looking forward to a stimulating and thought-provoking discussion. Christine was appointed as the UK’s Chief Veterinary Officer in March 2018, having been working as the CVO in New South Wales, Australia, where she led major improvements to biosecurity across many farming sectors. Prior to moving to Australia, Christine led Defra’s Animal Traceability and Public Health policy team, where she was responsible for surveillance, including detection and response to new and emerging diseases such as Schmallenberg and Porcine Epidemic Diarrhoea. Christine joined the UK government services in 2008 as a Divisional Veterinary Manager at the Animal Health Agency (now part of Animal and Plant Health Agency) . Christine started her veterinary career in private practice in Scotland and the north of England with a specific interest in research, meat processing and livestock genetics.